Here’s where UK viewers can see the web series for the first time. The Walking Dead’s spinoff show Flight 462 has finally been made available for UK viewers. Until now, the 16-part web series has only been available to US fans through AMC’s website and as trailers for Sunday’s episodes of AMC’s new season six episodes. But AMC TV UK have now made the first eight episodes – a companion to the already established Walking Dead prequel Fear The Walking Dead – available for UK viewers, and are promising to release further one-minute instalments each week. The new episodes will continue until Fear The Walking Dead returns for a second series on AMC UK (a channel exclusive to BT TV subscribers) on April 11. Flight 462 takes place 30,000ft above ground as the first zombie outbreak tears through a passenger flight. One character who survives the attack will be introduced as a character in season two of Fear The Walking Dead. The show’s director is Scottish-born Michael McDonough, a director of photography who’s worked on Fear The Walking Dead and the Jennifer Lawrence movie Winter’s Bone. 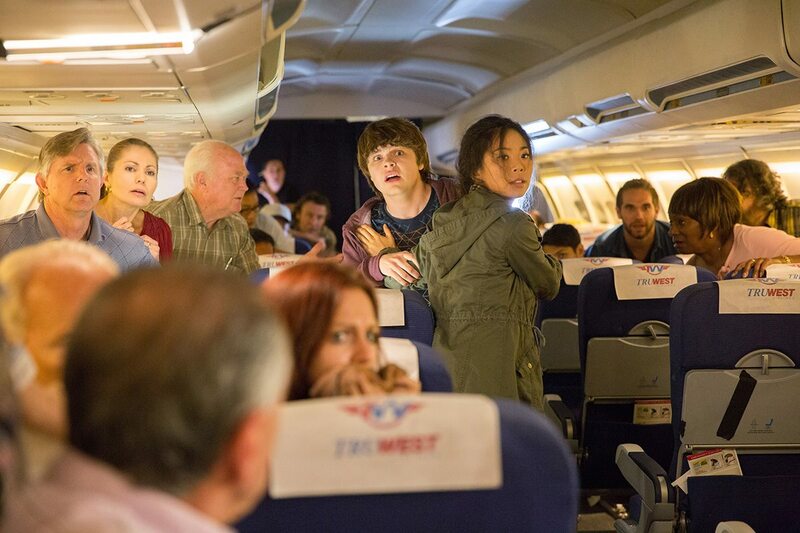 Spoiler alert: actors Brendan Meyer and Michelle Ang are so far the only two stars to have made it through all Flight 462 episodes released so far. Fear The Walking Dead is set in Los Angeles in the early years of the undead apocalypse. It stars Kim Dickens, Cliff Curtis and Frank Dillane. The Walking Dead star Josh McDermitt recently told Loaded that the horror series gave him nightmares when he first starting working on the show.